In case you didn’t know, Dyson does lights. 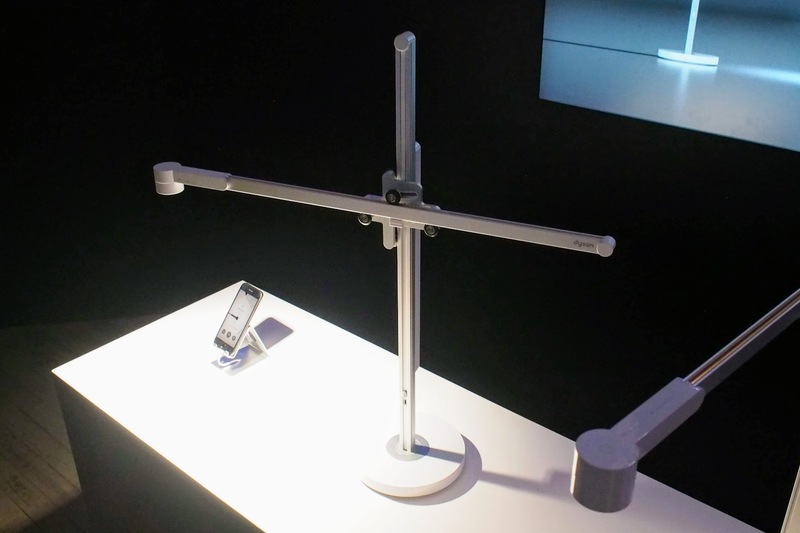 Specifically, Dyson does desk lamps (it calls them “task lights”) with a decidedly functional look. Today the company unveiled its latest version, called the Lightcycle. It’s not meant to be a “Tron” reference: The Lightcycle gets its name from how it adjusts the color temperature of the LEDs. Once you’ve told the lamp your location via the app (yes, it’s a smart light), it will automatically adjust how warm or cool the light is based on the clock as well as the ambient light. That way, it’ll ensure you’re not getting too much ambient light at night, and that your colors are bright and full during the day. The Lightcycle is also more powerful than Dyson’s previous CSYS lamps, shining as bright 1,000 lux (the old ones maxed out in the 600s). Dyson redesigned the heat sink to ensure the LEDs last as long as possible, engineering a vacuum-sealed copper tube with a single drop of water inside to dissipate heat along a long surface. As a result, Dyson rates the LEDs to last 60 years. Trying out the Lightcycle at a Dyson demo event on Tuesday, I came away impressed with the sophisticated yet simple design. Adjusting the light’s position couldn’t be easier — the orthogonal metal rods move effortlessly thanks to an excellent counterweight-and-pulley mechanism, and the controls on top of the light are perfectly intuitive (one touch strip controls brightness, the other color temp). The one thing that many will likely balk at is the price. Dyson might have made an outstanding light here, but it’s asking $599.99 for the desk lamp version and $899.99 for the floor lamp. This is certainly typical Dyson, but when it comes to lighting, the category isn’t sleepy like vacuums and cooling fans. Design heavyweights like Philippe Starck and Michele De Lucchi are players, so Dyson’s game needs to be on point when the Lightcycle ships on April 4.